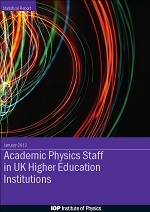 Academic Physics Staff in UK Higher Education Institutions presents an overview of academic physics staff in UK higher education institutions (HEIs) and a number of selected other cost centres. 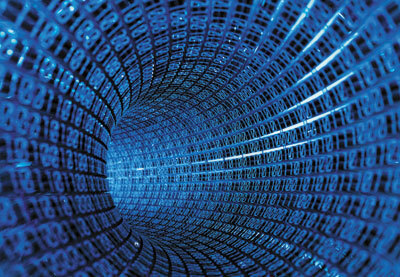 An update was published in 2013. 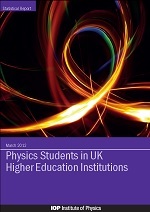 Physics Students in UK Higher Education Institutions presents an overview of the students on first-degree, masters and doctoral programmes in physics and a number of selected other subjects in UK higher education institutions. 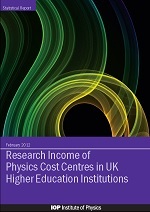 Research Income of Physics Cost Centres in UK Higher Education Institutions presents data on the research income of UK Higher Education Institutions’ physics cost centres. 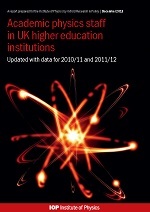 An update was published in 2014. 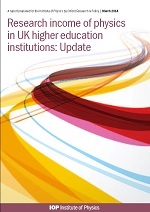 Download the 2014 update here. 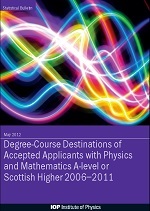 Degree-Course Destinations of Accepted Applicants with Physics and Mathematics A-level or Scottish Higher 2006-11 presents an overview of the course destinations of accepted applicants to higher-education first-degree courses who hold combinations of physics, mathematics and/or further mathematics A-level, or combinations of physics and/or mathematics Scottish Higher. 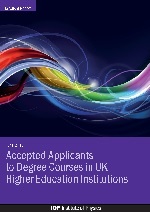 Accepted Applicants to Degree Courses in UK Higher Education Institutions presents an overview of applicants and accepted applicants to degree courses in UK higher education institutions (HEIs) in physics and a number of other selected other subjects.